Chunky is the new black this season..
Shall we now talk about the trend that has taken the world by storm? We’re talking about chunky sneakers. While they do appear to be quite ugly at first sight… keep looking and they will grow on you like they have us. They recently appeared on the Balenciaga and Gucci runways, and have now stolen our hearts. 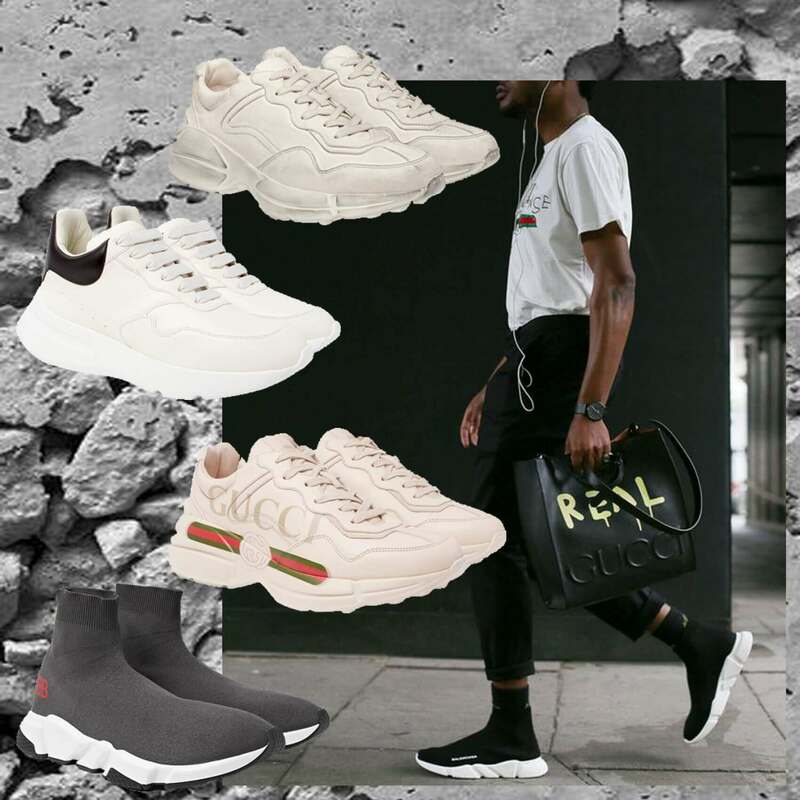 If we haven’t yet convinced you, we have collected a number of pairs of chunky, 90’s inspired sneakers that may just work with your own personal style. Starting with the newly iconic Balenciaga Triple S trainers all the way to a good old pair of Nike Air Max’s. When wearing these oversized, not quite hiking, not quite running shoes, the next question is… what do you wear? We suggest something lose fitting. Nothing tight or slimming as the shoes will definitely stick out like a sore thumb. So throw on a pair of relaxed fitting black pants, a simple logo tee and a cool jacket if weather permits and you’re done. We think it’s time you treated yo-self to a pair of chunky sneakers, don’t you? How to pull off shorts this Summer.. no, not literally! 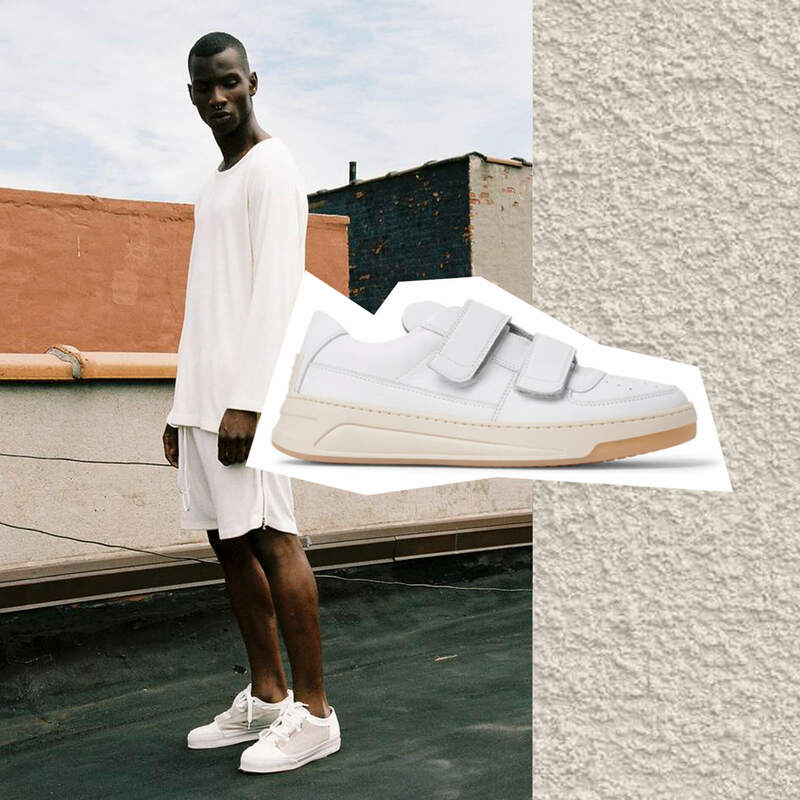 The sneakers we simply can't live without.. When trying to nail that all white get-up, their is only one rule we have..